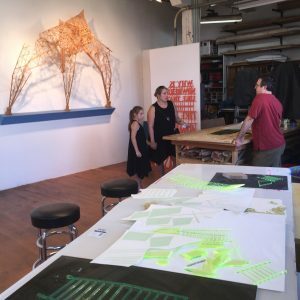 As a part of Milwaukee’s Doors Open event throughout the city, The Pitch Project invites all behind the scenes of its gallery and artist studios. 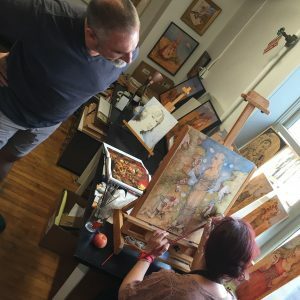 Come explore the studios of Milwaukee artists whose work contributes to our vibrant art community! Grab a brew from Brenner Brewing, and engage with the artists in their workspaces. 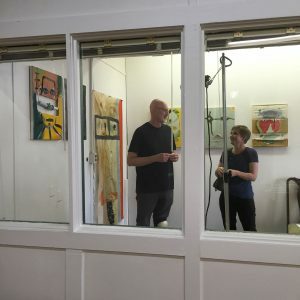 Participating artists in the Open Studios include: Steven Burnham, Jesse Chehak, Grant Gill, Jean Roberts Guequierre, Will Pergl, Kyle Seis, and Sonja Thomsen. Pop-up performances by Elizabeth Rath and Kayle Karbowski will be at 2pm and 3 pm respectively. During the Open Studios event Brenner Brewing will be offering quick walk-throughs of the brewery at 11:45, 12:45, 1:45, 2:45, 3:45, 4:45, 5:45,6:45, & 7:45. The street will be closed down in front of the building for a unique beer garden experience featuring art vendors, food, and live music. All are welcome, as this event is free and open to the public. Brenner Brewing and The Pitch Project recently launched a new shared space, the ART/BEER Lounge, to highlight Brenner Brewing’s commitment to supporting the Milwaukee arts community. The ART/BEER Lounge will feature the original artwork commissioned by Brenner for each of his beers as well as new work by each of those Milwaukee artists. In conjunction with the new ART/BEER Lounge The Pitch Project opened a new gallery space adjacent to the lounge. 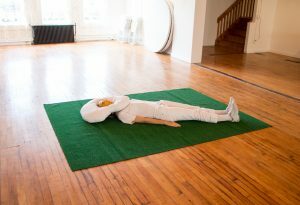 “Make You See Stars”, an exhibition featuring Chicago-based artist Mike Rea will be exhibited in this new space, while “the night time is never the right time”, featuring artist Christine Negus will be shown in the video screening room.